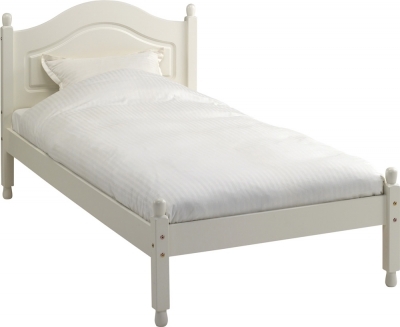 The Steens Richmond Carlton 3ft white single bed frame features a curved high headboard and low foot end. Made from medium density fiberboard in a white finish with traditional recessed headboard details and rounded leg ends. Designed for use with a standard UK single mattress 90cm wide by 190cm long.